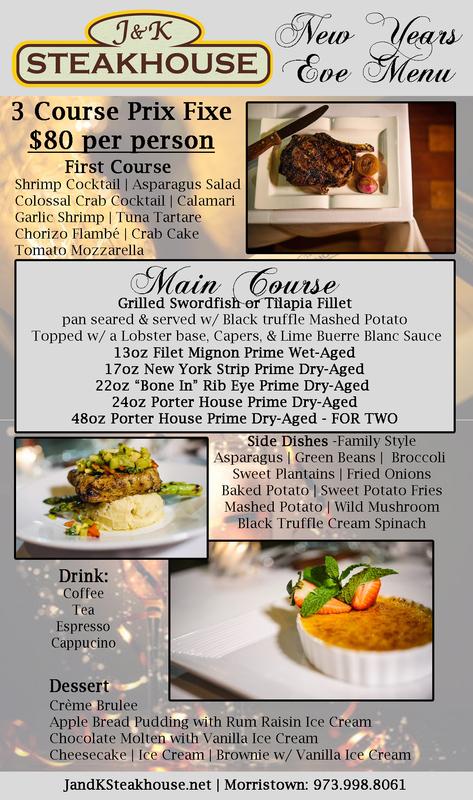 With a menu which includes Prime Cut Dry-Aged steaks and fresh seafood sculpted to perfection by Executive Chef Jarod Zelaya, this mastermind wants to ensure that each dining experience is unmatched. From his elegant décor and sultry music, J & K Steakhouse is the perfect atmosphere for any occasion. 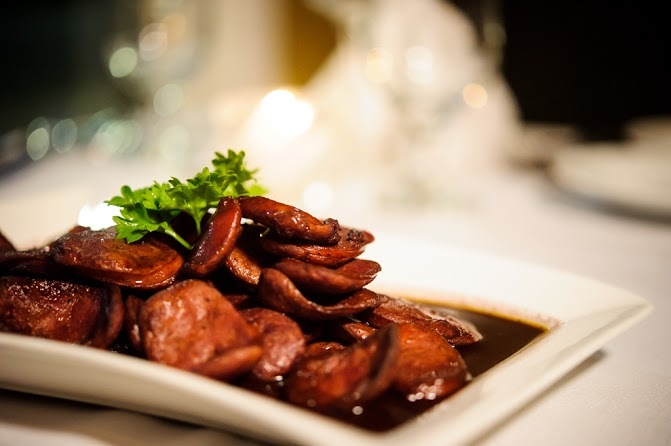 The extensive list of fresh and deliciously dressed starters—Chorizo Flambé, Garlic Shrimp, and signature appetizer Tuna Tartare, offers perfect accompaniment to J&K’s wide ranging menu which includes the finest USDA Beef, fish, lamb, and poultry dishes. If the delectable dishes aren’t enough to satisfy your appetite, the desserts will surely do the trick. Each bite of the Crème Brûlée, Cheesecake, Chocolate Molten Cake and Apple Bread Pudding with Rum Raisin Ice Cream are succulent and will have your taste buds doing happy dances. 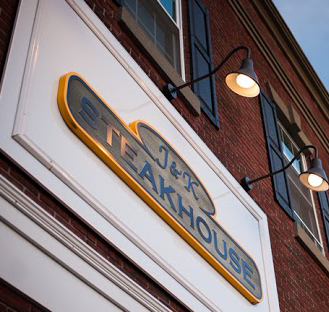 J & K Steakhouse offers their diners an exceptional experience, akin to that of NYC fine dining. 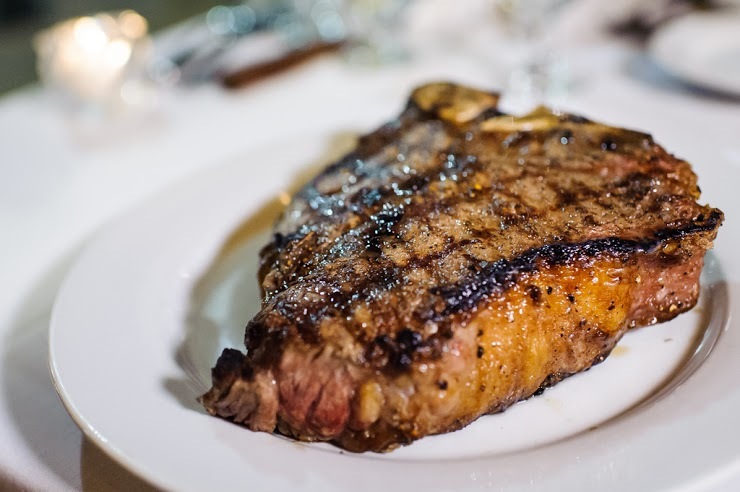 The exquisite tasting food, excellent service and reasonable prices have made J&K Steakhouse one of the favorites in the heart of downtown Morristown. Owner Jarod, a studied Chef at the Institute of Culinary Education in New York City and an accomplished restaurant supplier executive had the vision of bringing a New York Style Steakhouse to New Jersey. ” I wanted to bring to New Jersey, a taste of New York City”, Jarod explains. We only use the freshest and highest quality products in our restaurant. The chef and kitchen staff are also very experienced and have worked at some of the top steakhouses in NYC. “Now people don’t have to go to New York City to get a prime cut dry-aged steak or top shelf Seafood dinner. You can get it here at J and K” – Chef/Owner Jarod Zelaya.